What is HARP 2.0 Mortgage Refinance? How can it benefit you as a Utah Homeowner? The Home Affordable Refinance Program (HARP) is designed to assist homeowners in refinancing their mortgages – even if they owe more than the home’s current value. The primary expectation for Home Affordable Refinance is that refinancing will put responsible borrowers in a better position by reducing their monthly principal and interest payments, reducing their interest rate, reducing the amortization period, or moving them from a more risky loan structure (such as an interest-only mortgage or a short-term ARM) to a more stable product (such as a fixed-rate mortgage). I’m sure you are still wondering “Well how does it work?”. You have to qualify for a HARP Mortgage and this means that you have to be current on your mortgage, verifiable income and your home has to be owned by Fannie Mae or Freddie Mac. There’s a simple tool on our website at www.mymtgsolution.com that will help you find out if your home is owned by Fannie Mae or Freddie Mac. If you have tried to refinance in the past but were un-able there may still be some options for you. Don’t throw in the towel yet, with mortgage interest rates low, now is the time to take advantage. Contact one of our Utah HARP Mortgage Refinance Experts to learn how you can take advantage today! The Texas economy continues to outpace the nation with modest gains in employment and home sales in July, according to the Federal Reserve Bank of Dallas. Existing home sales in Texas rose 1.5% in July and are 22% higher than a year earlier, the Dallas Fed said. The Federal Housing Finance Agency said the state’s housing price index, which includes only purchase mortgages, inched up 0.3% in the second quarter from the first three months of 2011. Prices are down 2% from a year earlier. House prices across the nation dropped 0.6% in the second quarter and remain 5.9% below a year earlier, according to the FHFA. The Dallas Fed said single-family permits in Texas decreased 3.4% and housing starts slid 0.1% in July from the prior month, when starts rose nearly 30%. The Lone Star State added 25,900 jobs in July after tacking on 33,000 in June, although the unemployment rate rose to 8.4% from 8.2%. Still the rate is lower than the 9.1% nationally and the U.S. economy did not add any nonfarm payroll jobs in July, according to the Labor Department. Why Buying a Home Still Makes Cents! There’s good reason that over half of all Americans are homeowners. Social and financial benefits are key factors when it comes to deciding to buy. Homeownership allows people to grow wealth slowly over time, to hold assets that build equity, and to bring stability into chaotic lives. Despite these facts, homeownership rates have taken a hits since the recession in 2009. Falling home prices along with reduced access to credit has kept many would-be buyers from entering the market. According to Morgan Stanley, the current homeownership rate is around 59.2%. This is lowest rate since the Census Bureau began tracking in 1965. Has this reduction been a fear-based one? 1. Savings: Be sure to check out the calculator at the end of this article. You’ll find that long-term homeownership is still a way to get big savings. 2. Tax Breaks: They’re not on the chopping block just yet. Many homeowners are still able to take the mortgage interest deduction (MID) each year, along with great rebates and credits associated with upgrades made to your home. 3. Equity: When you pay a landlord, it’s money down the drain. When you pay on a mortgage, you are paying towards owning a piece of something. You may still owe $100,000, but perhaps the home is worth $200,000. This means you have $100,000 worth of equity you’ve built up over time. 4. Budgeting: Unless you live in a rent-controlled apartment (and not many do), then each lease renewal could mean a jump in prices. A fixed-rate mortgage, however, means your monthly payment is the same amount for the life of the loan. A $1,000 a month payment on a 30-year mortgage is that same now as it will be in 30 years! 5. Security: When you own, it’s yours. You can paint, improve, and decorate. The trees and flowers are yours to enjoy — for a lifetime if you wish. Most homeowners are in neighborhoods with other homeowners, meaning more time to build relationships and friendships. Recent studies have also shown that homeowners rank themselves as healthier than their renter counterparts. Experts have recommended for years that if you’re planning on staying put for 5+ years, buying becomes an increasingly better deal. You have time to recoup any extra expenses found in closing costs and are now making an investment in your future through home price appreciation. Once your mortgage is paid off, you’ll have a real asset. That brings real stability. Home affordability is at near record highs. Now is a good time to run the numbers and see if buying makes good financial sense. If it does, then you’re in store for a wealth of benefits that only homeowners can experience. According to CNN – Home prices made a comeback during the second quarter, but the struggling housing market isn’t out of the woods yet. Prices rose a substantial 3.6%, compared with the three months ended March 31. But home prices are still down 5.9% compared with the second quarter of 2010. The rise in home prices came after three consecutive quarters of drops, as reported by the S&P/Case-Shiller national index — an influential gauge of residential real estate markets. The year-over-year decline was a bit more than the than the drop of 4.7% that had been forecast by a consensus of experts at Briefing.com. A separate monthly index of home prices in 20 major metro areas also reported a month-over-month gain of 1.1% for June, and a drop of 4.5% year-over year. First American Express, then GEICO, now Bank of America. Warren Buffett recalls how past crises created big opportunities for Berkshire Hathaway. If he’s right, Berkshire’s $5 billion investment in BofA could be one of its most promising deals ever. A lot to smile about. Fortune — Early on Wednesday morning, August 24th, Warren Buffett was soaking in the bathtub at his red-brick, white-columned house in Omaha, musing about how he’d made some of his best buys when investors bailed on solid companies suffering a highly-publicized storm. He correctly predicted they’d work through the trouble, and made billions when they recovered. From the tub, Buffett recalled two such occasions. The first was the Great Salad-Oil Scandal. In the early 1960s, a commodities mogul was taking out big loans secured by what he claimed were giant inventories of salad oil stored in warehouses owned by American Express in Bayonne, New Jersey. As it turned out, the tanks contained mostly water, with salad oil floating on the top for disguise. Shares of AmEx dropped 50%. Buffett pounced, and multiplied his investment five-fold in five years. The second crisis-driven opportunity came in 1976, when the stock of GEICO collapsed to $2 a share from a previous high of $61. The once conservative insurer had lost its way by underpricing its policies in pursuit of reckless growth, and scrimping on reserves. Once again, Buffett reckoned that GEICO would thrive if its new management restored its low-cost, low-risk strategy. Berkshire Hathaway boosted its holdings as others fled, and by 1996 had accumulated 51% of its stock. That year, Berkshire purchased the remaining shares at $71 for $2.3 billion — 35 times what he paid in the crisis, and a price that now looks like a terrific bargain. Thirty-five years later, Buffett thought he saw the same pattern in the big company investors reviled more than any other: Bank of America (BAC). Buffett didn’t even have CEO Brian Moynihan’s phone number, and asked his administrative assistant to find it. When he reached Moynihan at the environmentally-friendly Bank of America Tower in midtown Manhattan, Buffett proposed a deal that was relatively light on dividends, and heavy on warrants that would produce enormous gains if BofA recovers. Moynihan, an experienced dealmaker from his days making acquisitions for Fleet, wanted near-total secrecy. He declined to bring in investment bankers, didn’t consult with lieutenants, and initially discussed the deal only with his chairman, former DuPont CEO Chad Holliday. Can Brian Moynihan fix America’s biggest bank? The board voted by phone early Thursday morning. The $5 Billion dollar deal had taken just 24 hours, a pace that could only happen in Buffett-Land. Berkshire Hathaway will receive a 6% dividend, and the right to buy 700 million shares at a price of $7.14. BofA’s shares are already trading over that level. Fund managers and analysts fear that Bank of America needs to raise lots of additional capital by selling stock, at extremely low prices. They believe the bank lacks the financial strength to cover its big exposure to troubled mortgages. The TV talking heads, disappointed investors, and even investment bankers within BofA who get bonuses in stock and are watching it collapse, take a dim view of its future and Moynihan’s leadership. In the current news cycle, the relentlessly negative tilt about Bank of America now rivals the talk about the European debt crisis. Buffett takes a different view: Berkshire wouldn’t have invested in BofA if it needed his money. The Berkshire chairman reckons that the bank would work through its current problems, and that the underlying banking business will prove highly profitable. It’s interesting that it took a dynamo to pull GEICO out of its ditch — an Irish-American executive named Jack Byrne who combined excellent analytical skills with flamboyant salesmanship­­ who would heave his hat into the headquarters’ atrium every morning and rally the troops like Knute Rockne. The financial press and most of Wall Street thought Byrne would fail, and he proved them wrong. Berkshire’s BofA investment is clearly an endorsement for Moynihan, just as it was a vote for Byrne. And if Moynihan’s claim that BofA will earn as much as $25 billion in a few years proves correct, Berkshire’s profits will exceed $10 billion. It all started with memories of a salad oil scandal that spooked investors half a century ago. Many investors see the housing crisis as a similar investment opportunity. The housing industry will recover, the question is when and where? We are already seeing different areas moving at record paces and home values increasing in key locations. The key to taking advantage is buying while home prices and interest rates are low. This could not be a better time to buy Real Estate. Unless you have Buffett’s money and can afford to buy banks. Foreclosures made up roughly one-third of all home sales this spring. While that’s a smaller share of sales from the previous quarter, it’s six times the percentage of foreclosures in a healthy housing market. Foreclosure sales, which include homes purchased after they received a notice of default or that were repossessed by lenders accounted for 31 percent of the market in the April-June quarter, foreclosure listing firm RealtyTrac Inc. said Thursday. The share of the market would likely have been larger this spring if not for a state and federal investigation into faulty paperwork by banks and servicers. The probe has led many banks to delay foreclosure sales. Once that is complete, foreclosures will likely surge later this year. As a slice of all home purchases, foreclosure sales peak two years ago at 37.4 percent. In the second quarter, they declined from 36 percent in the January-March period. In all, 265,087 homes in some stage of foreclosure or owned by banks were sold in the second quarter, down 11 percent from the same period a year ago. Sales of all other types of homes also declined, according to RealtyTrac’s figures, which differ from other home-sales estimates. Bank-owned homes, which are sold after being repossessed, accounted for nearly 19 percent of all sales. That’s unchanged from the previous quarter. Distressed properties, often in need of repair, typically sell at big discounts and weaken prices for neighboring homes. A bank-owned home this spring sold for 40 less than the average price of other homes, according to RealtyTrac. That’s up from 36 percent in the previous quarter and 34 percent from the same quarter one year ago. Sales of homes in the foreclosure process or short sales went for 21 percent less than the average home sold, the firm said. That’s up from an average of 17 percent in the first quarter and 14 percent in the second quarter of 2010. A short sale is when the lender agrees to accept less than what is owed on the mortgage. The average sales price of a foreclosure property was $164,217, down less than 1 percent from the January-March quarter and nearly 5 percent from the April-June quarter in 2010, the firm said. Nevada led all states with foreclosure sales, accounting for 65 percent of all home sales, RealtyTrac said. In Arizona, foreclosure sales represented 57 percent of all home sales for the quarter, up 16 percent from a year ago. In California, foreclosure sales accounted for 51 percent of all home sales in the second quarter, virtually unchanged from last year. Several other states had foreclosure sales that accounted for at least one third of all home sales in the first quarter: Michigan, Colorado, Florida, Illinois and Oregon. There are unique mortgage programs out there for buying foreclosures. If you or someone you know is looking to purchase a foreclosure you need to contact the foreclosure / REO Financing Experts at the Mortgage Solutions Team in Utah. Utah Foreclosure Finance Programs include: Fannie Mae’s HomePath Financing as well as Freddie Mac’s HomeSteps Mortgage Loan Programs. eBay and the Utah Governors Office of Economic Development (GOED)announced today that they will be expanding and building a new state-of-the-art facility in Draper, Utah. 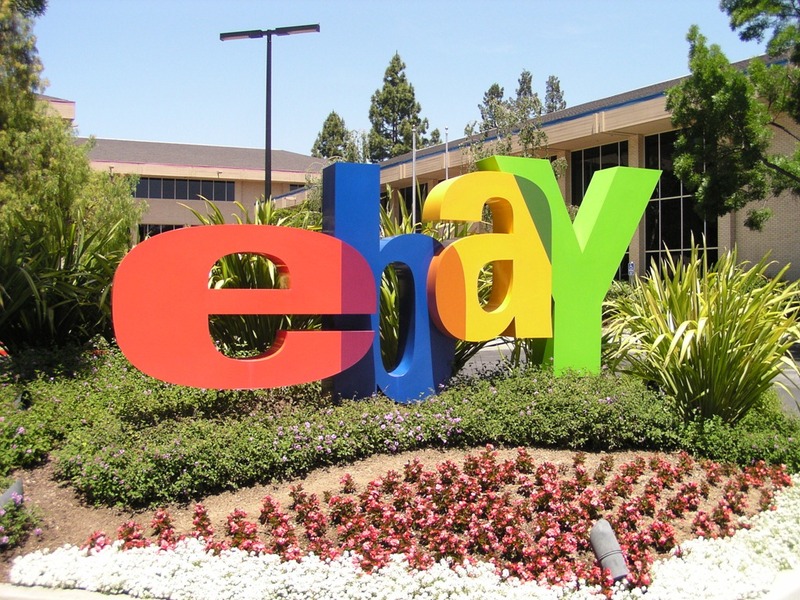 eBay, the world’s largest online marketplace announced plans to create up to 2,200 new jobs in Utah over the next 20 years. All of the incented jobs will exceed 125% of the county’s average wage including full benefits. This could prove to be a big boost for businesses in Draper as well as its Real Estate market. eBay will be expanding its workforce by over 2,480 Utah employees at an average salary that will exceed 125% of the Salt Lake County average wage. If eBay meets these hiring goals it will result in $127,186,975 in new state tax revenue over the 20-year project timeline. These new employees will need places to live, dine and spots for entertainment. Over the next several years the City of Draper , Utah will see some big benefits from eBay and it’s expansion.